Photo of a girl covered in pink powder. 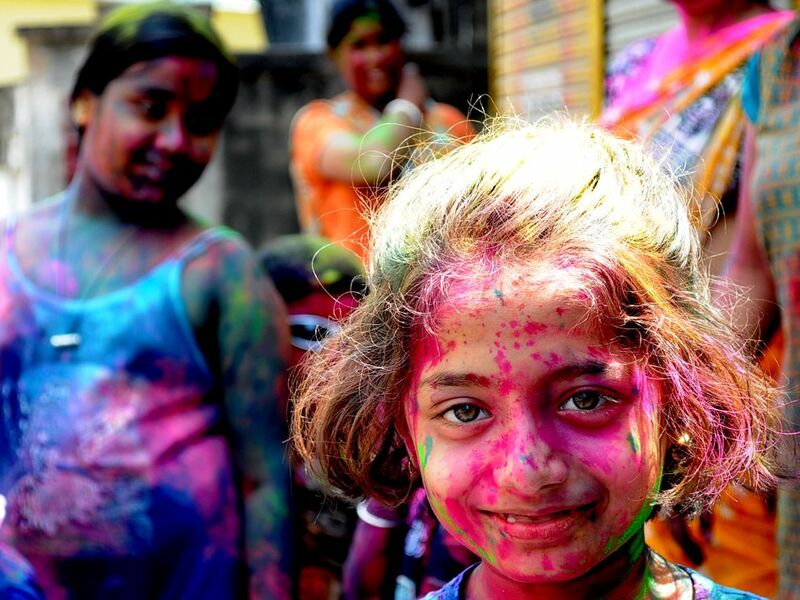 Holi is a springtime festival celebrated mostly in Northern India. Brightly colored powders and waters are splashed on festival-goers of all ages.